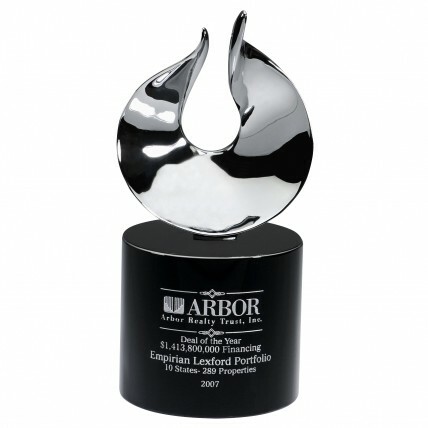 Add spice to your recognition awards with this flame shaped crystal! 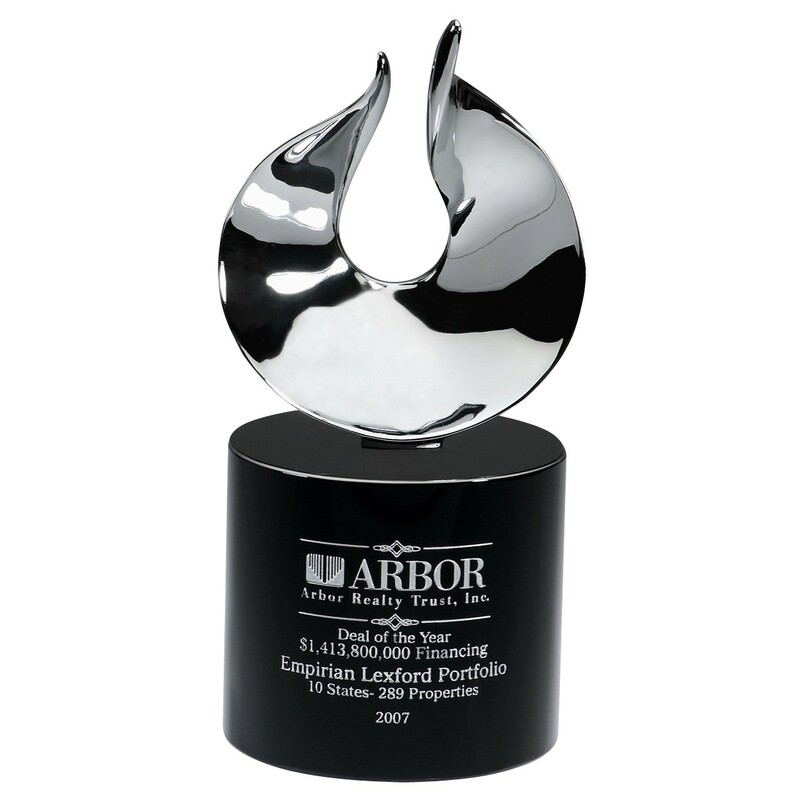 Created by CIP, the Silver Blaze Award with Black Crystal Base measures 8 inches tall and features a modern shape. The chrome flame has a slight twisted shape and is affixed to a round jet black crystal base. 5 lines of space are available for your custom logo and text. Order this recognition piece for your top employees!